October 12th 2014, this would be a nightmare day for the people of Visakhapatnam. It was on this day in 2014, when the Steel City shivered when Hudhud, super cyclone, made its landfall directly on the city. In a matter of just a few hours, vizag is totally vanished. There is nothing left to the city, its a zero, with Uprooted trees, twisted power poles, blown off hoardings, broken windowpanes, damaged sewer pipes and what not every house in vizag is affected. 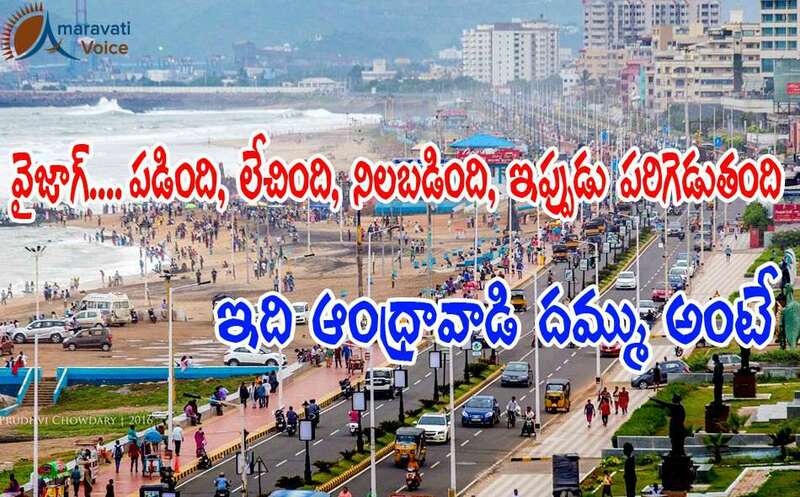 From there to 2016, Vizag is standing proud, saying "I AM BACK". The unity of vizag people, the super strong administrative staff and the strong leader, Chief Minister Chandrababu Naidu, turned it around. Chief Minister took the crisis as an opportunity and now vizag is standing tall, with all the international events coming here. Vizag emerged from destruction and ruin to become the 5th Cleanest City in the Country. One has to salute the indomitable spirit of Vizagites! Never forgot, this is the strength of Andhra Pradesh. We will bounce back, we will stand tall. Thanks to the brave CM and the people who took part to get back again.